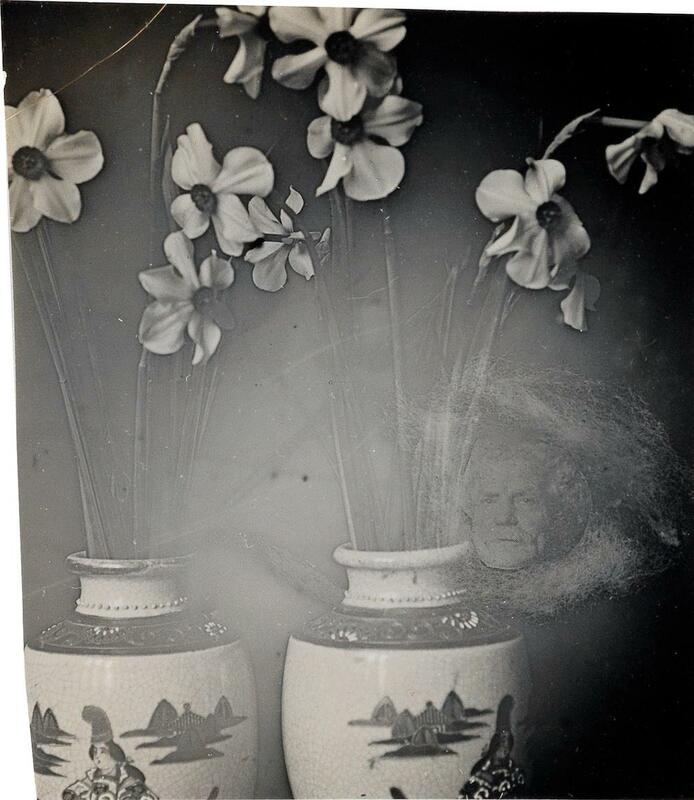 While spirit photography, which claims to capture ghosts on film, dates back to the middle of the 19th century—William H. Mumler was tried in New York for faking photographs in 1869—the practice has had tremendous longevity. 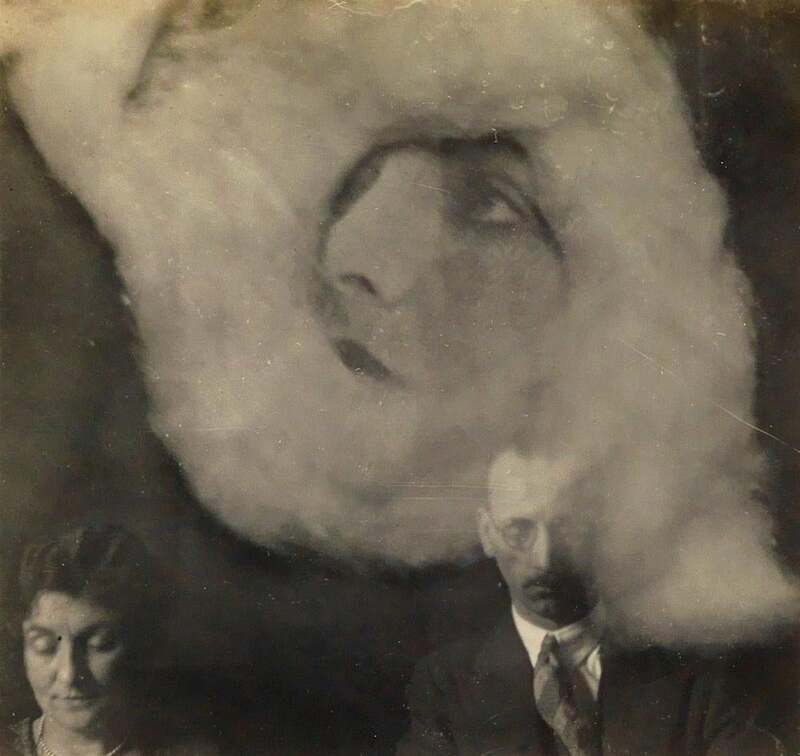 These photos, taken in the first couple of decades of the 20th century, were part of a resurgence of interest in “psychic photography” after the tremendous losses of World War I. The “mediums” credited with some of these photographs, Scottish brothers Craig and George Falconer, incorporated the process of making a photograph into their show. The Falconers would invite audiences to watch them load film into their cameras and produce prints, “proving” that no trickery was afoot. 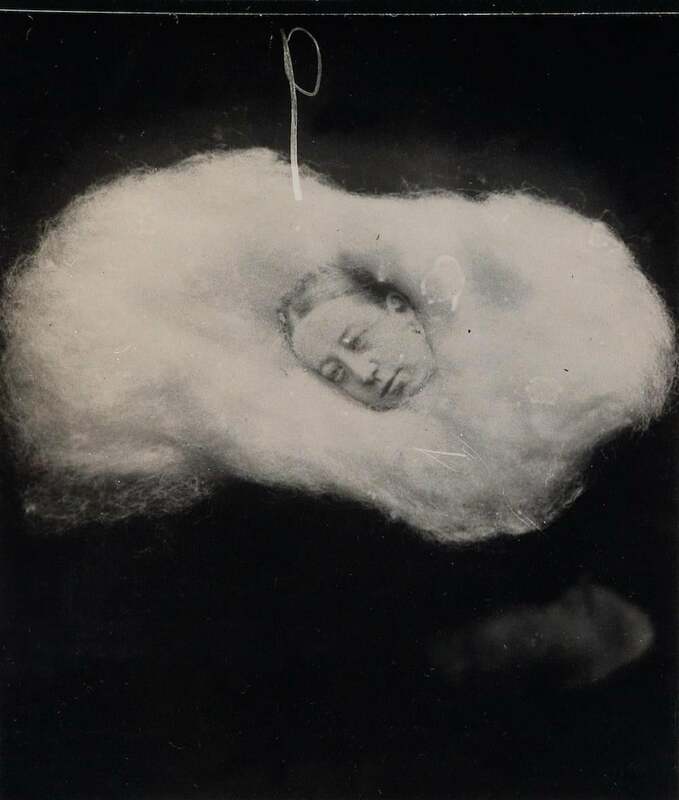 While some other spirit photographers favored draped veils or other indications of ghostly presence, the Falconers had a particular affection for puffy clouds of “ectoplasm,” often surrounding the superimposed faces of ghostly visitors. 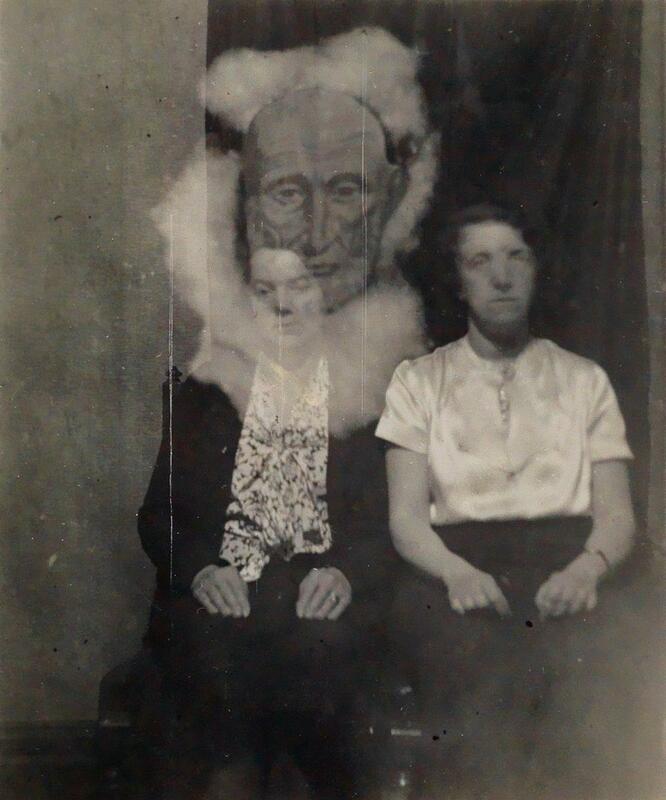 The Falconers were arrested in South Africa in 1931, where two undercover policemen found that they possessed telling tools of the trade: cotton wool and a cut-out “spirit face.” After paying fines, the brothers returned to photography, managing to resume profiting from their fraud until at least the end of the 1930s. This group of photographs goes on sale in New York on April 17. Image courtesy of Swann Auction Galleries. Images courtesy of Swann Auction Galleries.